Manual Wheelchairs From The Wheelchair Experts! Electric Wheelchairs 101 is not just limited to electric wheelchairs. 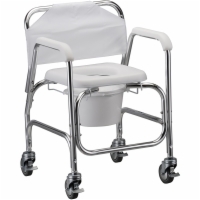 We have a variety of standard wheelchairs available by Karman. All of our standard wheelchairs come with a low price guarantee as well as free shipping, so you will not pay less anywhere else for the wheelchairs you find here. 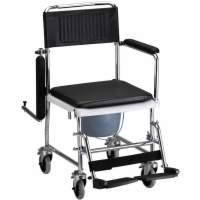 Please feel free to browse our selection of lightweight, standard, and transport wheelchairs or give us a call at 1 (800) 225-9309. Seat Width - Min 17.75"
Seat Width - Max 17.75"
Seat Depth - Min 17"
Seat Depth - Max 17"
Seat Width - Min 15.5"
Seat Width - Max 15.5"
Seat Depth - Min 15.5"
Seat Depth - Max 15.5"